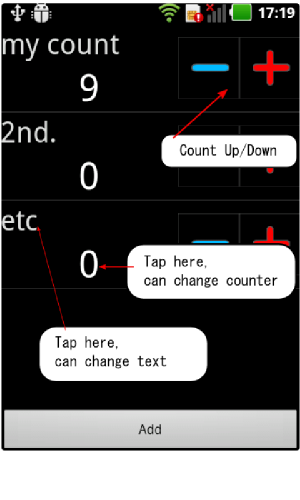 CounterMemo is very very simple Counter application. The usage is very easy and simple. 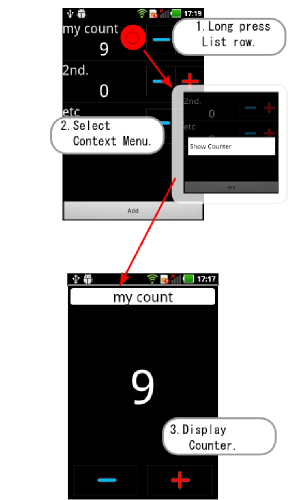 You can add a counter in the form of a list. Only to count by pressing the button.